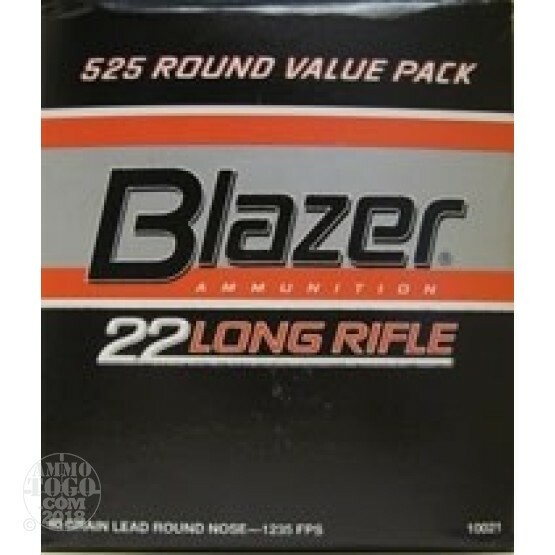 This is .22 Long Rifle CCI Blazer 40gr. Solid Point Value Pack Ammo. This ammo is recommended for small game hunting, target practice and plinking. It is a quality load at a value price. This Blazer has brass cases. This ammo comes 525rds. loose packed per box.